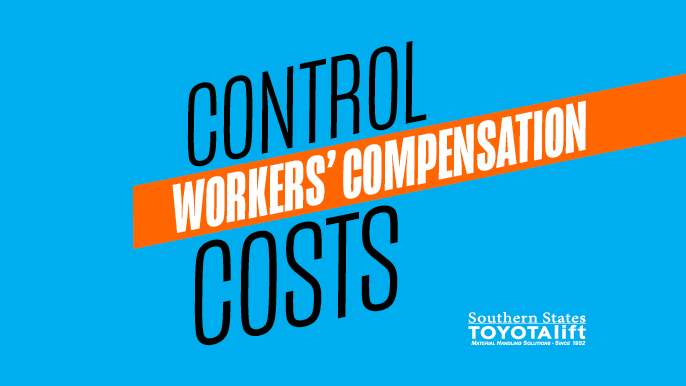 Many business owners assume rising workers compensation costs are inevitable - but that’s untrue. Improved hiring practices and proactive safety programs are just a few ways to lower premiums and the long-term cost of workplace injuries. Include essential job functions, minimum qualifications, safety expectations, and be sure to classify job descriptions and titles correctly. By conducting a thorough background check on potential hires, you can identify job applicants that may pose a higher-than-average risk potential. Ask your insurance agent if their company has a partner service provider that offers discounts on this service. Document when and how you look for these workplace hazards and what steps were taken and when to correct the issue(s). The committee should include at least one employee and yourself. Establish regular meetings and document what was discussed and what actions were taken. A culture of safety should include, at minimum, programs in place to train employees on safe working behavior both new hires and current staff members, and safety procedure posters displayed in employee-only areas. Many insurance providers offer a discount for businesses who can demonstrate a commitment to ongoing safety awareness and training. To minimize possible complications from delayed care, have an injured employee see a medical professional without delay. Help the employee choose an in-network medical provider to further reduce potential costs. At SSTLift we offer safety training and certification for forklifts and aerial lifts at our training center in Tampa, FL. We can also come to your location to conduct aerial or forklift training customized to your equipment and operation. REMEMBER: OSHA requires that operators be evaluated and reviewed within three years of initial training at minimum. Training must be conducted in the employee’s workplace environment on the equipment they use. Refresher training is required sooner if the operator is observed operating the vehicle in an unsafe manner, if they are involved in an accident or near-miss incident, if they receive an evaluation revealing unsafe operation of the forklift, if they are assigned to drive a different type of forklift, or if a condition in the workplace changes in a manner that could affect safe operation of the forklift. Our instructors utilize video segments, lecture, group discussion and practical exercises to facilitate learning. SSTLift trainers provide all the documentation you need to prove training has been completed per OSHA requirements. Schedule aerial and forklift training when and where it’s convenient for you. Our on-site instruction will be geared toward your actual trucks and facility. Additionally, students will participate in exercises to determine the workplace and pedestrian hazards. To schedule a safety training program, visit our aerial or forklift training page, or call us at (800) 226-2345 to speak to a training expert today.